Summer passed so quickly that I can hardly believe that it's time to start to shop for back to school. I wear Lilly Pulitzer all year and enjoy wearing it to teach high school. In recent years, it is increasingly more difficult to find Lilly dresses that are age appropriate for me, with lengths, cuts, and materials that keep me comfortable all day in the classroom. Although my school does not have a dress code for staff, I dress conservatively, avoiding things that are too tight or too short. 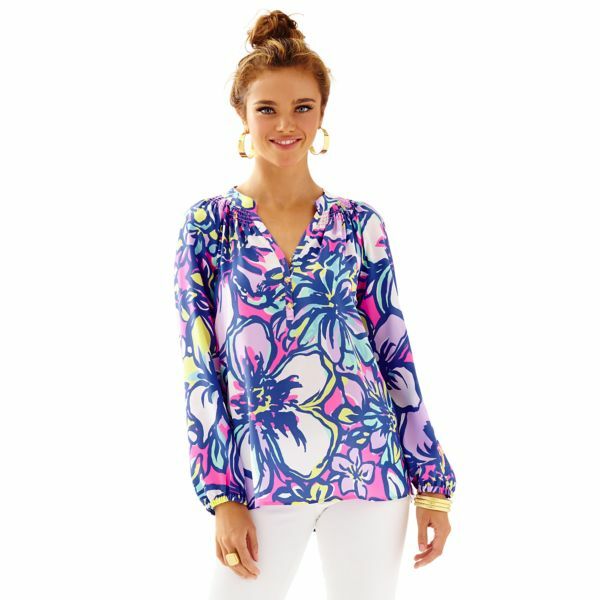 Luckily, I found a few gems in the newest releases from Lilly Pulitzer that are perfect for work or play. The Marlowe Dress in Sea Blue Lillys Lagoon keeps its shape all day long thanks to a stretchy knit fabric. Even on the busiest day, you'll be wrinkle free! Although I wear a solid size 6, I prefer to size up in knit dresses to a medium so that nothing is clinging to me or hugging my curves too much. I'm 5'4" and the dress falls just above my knee. The Marlowe dress works well in any season. I usually pair it with boots and a sweater or car coat in the fall. 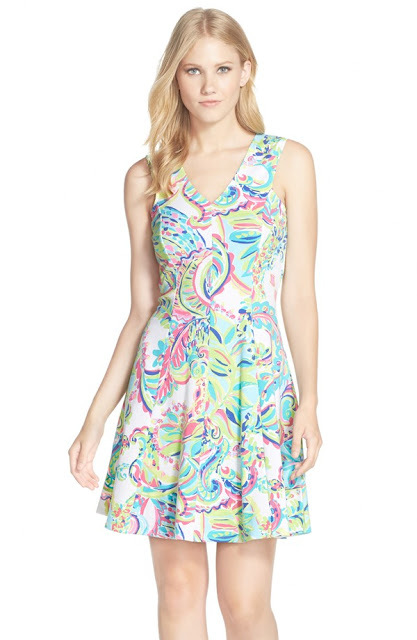 Another Lilly Pulitzer favorite for teachers is the Rossmore Dress in Multi Palm Reader. I love the gold tone button and cuff details and the v-neck that is not too revealing. The soft fabric flatters any shape. Again, I sized up to a medium in this dress. The small hugged my hips and curves too much for my comfort level. The dress length is appropriate for almost every situation. Another excellent choice for the workplace or classroom is the Dahlia Fit and Flare Dress. I plan to wear this dress with a little purple cardigan. The Lilly Pulitzer Toucan Play print has just a touch of purple in it that is a rare treat. The fit and flare shape is incredibly figure flattering. I comfortably wore a small in this dress. Once temperatures slide down the thermometer, I still insist on donning my Lilly. Even during the winter, an Elsa top and travel pants are an excellent choice. 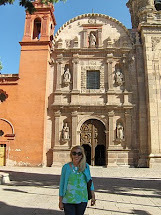 Next week, I'll share some of my daughters top picks for back to school for high school students! The best thing about Lilly Pulitzer is that there are excellent choices for all ages. Too funny, Emily! I might end up with the Marlowe dress in a couple of prints this season. It's such a perfect dress for fall and transitional weather.